Diane Awerbuck’s Facebook statuses are some of the funniest things I’ve ever read. Her short story, ‘Leatherman’, had me smiling (jealously) at its cleverness. She curated/edited/organized a collection of stories ‘the Ghost Eater and other stories’ that I have a short story in, and when I met her in person at the launch, she was funny. Like seriously funny. So, I assumed that Home Remedies was going to be a comedy of some sort, or at least a comedic reflection on a life lived in Fish Hoek (unarguably one of the strangest places in Cape Town – it’s like a time capsule, but from not long enough ago). That folks, is why you should read the cover of books, and not buy them just because you want to be as funny as the writer. But still buy them (especially when they’re written by African women writers) because they will never ever disappoint you when they surprise you. 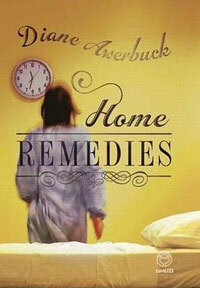 Home Remedies follows protagonist Joanna Renfield. She works in the Fish Hoek Valley Museum of Natural History and has just got a new boss (a struggle veteran with an identity crisis) because a skeleton in the museum has been linked to Saartjie Baartman. Hidden away somewhere in the museum are Baartman’s labia, and the boss wants them back. Joanna’s home life (with her husband and her small son) is something she has a sort of fickle ambivalence to. She so wanted it to be better than it was, but it just wasn’t better, so she keeps on keeping on feeling mildly disappointed with it all. Until one day a box with strange smell appears on the side of the road, and things begin to change. The story speaks to the fragility of the peace created in small towns like Fish Hoek, and internally for most of us who are privileged enough to go about our lives free from violence in the home. It contrasts an ordinary life with extraordinary circumstances, highlights the violence of history and present, and presents the difficulty that comes when you make decisions about your life that made sense long ago, but don’t make any sense now. ‘Familiarity and contempt’ as Joanna describes it. Awerbuck writes a tight sentence, and there are so many parts of the book that met my expectation of hilarity – like when Joanna’s asked if she’s found Jesus and replies that she didn’t know He was missing. She’s equally adept at crafting sentences that pierce through the veneer of the accepted situation and through this highlights the backdrop of fear that many of us live with. One of the most magical and strange scenes in the book is the ‘toad moon’ scene. The imagery of the toads crossing the road with the protection of people shortly followed by a scene involving the extreme malice and violence of people was incredibly powerful. So although this wasn’t the comedy that I had wrongly assumed it would be, it was a brilliant read, dense with history and present. I’ve enjoyed speculative fiction for ages (even as far back as when it used to be called sci-fi) so it was really cool to find an anthology of it crafted by African writers. Plus – what a beautiful cover. 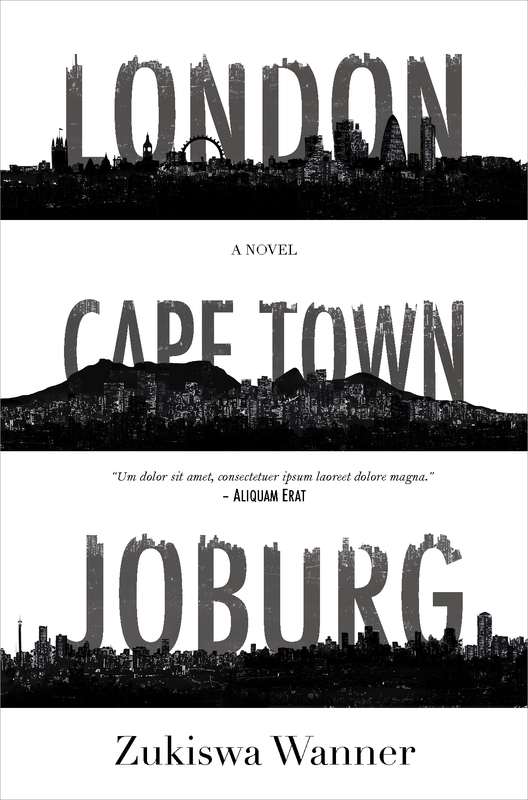 This project will be the bankrupting of me I swear – African fiction writers have the best covers. “When Nigerian novelist, Chimamanda Ngozi Adichie, addressed the TED Conference in 2009, she spoke of the danger of the single story, a distorted, one-dimensional view of Africa that sees the continent only through a prism of war, disease, poverty, starvation and corruption. Short Story Day Africa has established a day, 21st June – the shortest day of the year – on which to celebrate the diversity of Africa’s voices and tell you who we really are; what we love; love to eat, read, write about. We want to bring you the scents on our street corners, the gossip from our neighbours, let you listen to strains of the music we dance to. 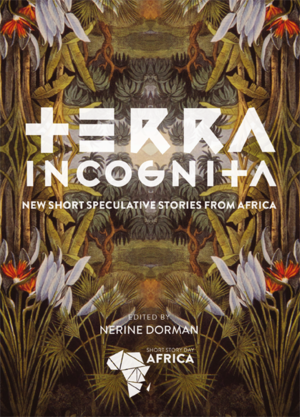 The Short Story Day Africa 2014 anthology ‘Terra Incognita’ is packed full of stories that will creep you out, make you laugh, and worry about the parameters of your daily life. Of course, I only read the ones written by women this time around, but I look forward to getting to the rest when this project is done. I must say that my personal favourite was Dianne Awerbuck’s ‘Leatherman’ which led me to read her book ‘Home Remedies’ as my final fiction book in the project. Get this collection, and support the call for funds for the next one here. Voices is an anthology of contemporary art and literature interested in exploring every single place that makes up our world. 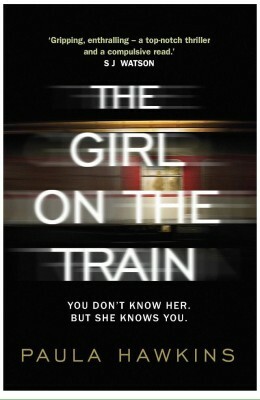 It is a curious work, determined to reveal places and the lives they consist. The world is one global place, and is made up of smaller places called continents, which is made up of smaller places called countries made up of smaller cities and towns. Thus, we want to showcase the various places that make the world a global village. ‘Voices’ is as it is called is a conglomeration of voices from a place, be it a region, town, country or county. The voices are unique, stemming from various notions and interpretations of different people on this particular place. The anthology places its interest on places rather than ideas or abstract nouns. For us, places reveal people, places have a life of their own that we want to show the world. Ile-Ife is an ancient Yoruba town in Southwestern Nigeria, Osun State. Also known as Ife, the town is renowned for its place in Yoruba folk myth as the traditional home of Yoruba civilization and doubles as a holy city of humankind. It boasts of art and culture and rich history that stands it out as one of the most desirable archaeological sites in Southwestern Nigeria. We are accepting submissions from all over on the theme of ‘Ife’. We believe in the concept of borderlessness, that everyone can talk about every place, especially through art and literature, and we want to reach every one in every place with the stories and pictures and arts of Ife as well. All submissions must explore, reveal and / or revolve around the place ‘Ife’. We accept compelling and atypical short fiction, non-fiction, book reviews, poetry, photography, art, and conversations. Contain a cover page stating name, mailing address, email address, phone number (with International dialing code, title of piece and word count. Be sent as a Microsoft word doc or docx file attachment. Photography and art may be sent as jpeg file. Be sent along with a bio of no more than 50 words (in third person) in the body of the mail. No responses are given about pieces being accepted for the anthology until the end of October. Only selected works will get responses by the end of October. Multiple submissions are accepted, however, we aim at publishing as many views and as many names as possible with a wide as possible geographical spread. Please note that we do not accept already work already published elsewhere in print or on the web. All submissions must be previously unpublished. We maintain first copyrights of all works submitted for the first six months after publication of the anthology after which the work may be used elsewhere. We accept any form from horror to surreal and magical. Any form is acceptable as long as it conforms to the theme and is compelling. Must be between 1,500 and 2, 500 words. Memoirs, essays, travel writings and all forms of creative non-fiction are accepted. News pieces, op-eds, articles, scholarly and academic papers and journalistic writings are not accepted. We want creative and compelling non-fiction. Multiple submissions must be sent as individual attachments with individual cover pages. We are accepting a small number of book reviews so submissions of book reviews must be pitched. Pitches may be no more than 400 words and be sent in the body of the mail to voiceseditor2015@gmail.com .Response time for pitches is 24 hours. Each poem must be no more than two pages long. No more than three poems may be submitted in one document. Each poem title must be indicated above the poem individually as well as on the cover page. We are not looking for bland interviews, we want active, participatory and lively conversations that inspire, intrigue, and even spark more conversations. Conversations must not exceed 1, 500 words.